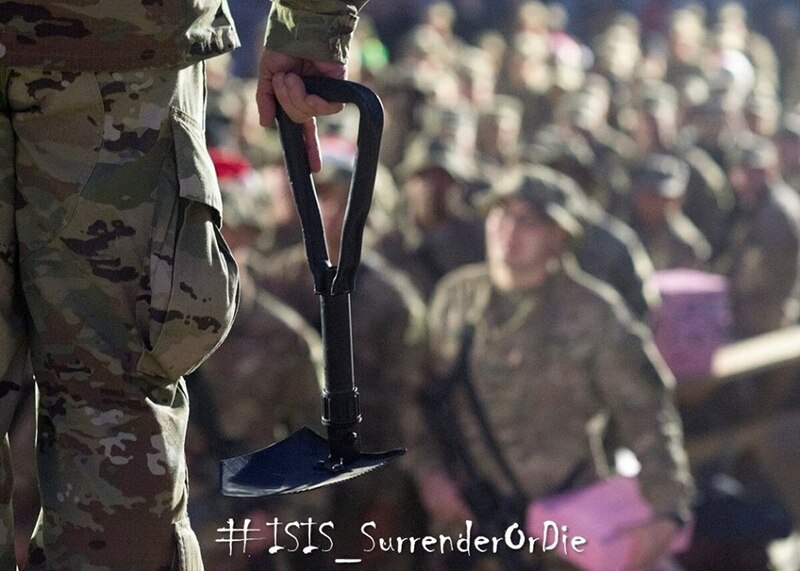 The military’s top enlisted service member has a message for the Islamic State, one that’s making the rounds on Twitter and firing up crowds he speaks to: Surrender terrorists, or face the blunt end of an entrenching tool. In a Facebook post hash-tagged “ISIS_SurrenderOrDie” Command Sergeant Major John Troxell, the senior enlisted adviser to Chairman of the Joint Chiefs Gen. Joseph Dunford, offered ISIS two options. “Hell yeah CSM Troxell, I’mm getting my Etool ready #getsome” wrote one reply to Command Sergeant Major John Troxell’s call to arms. Troxell’s Jan. 9 Tweet repeated a theme he spoke about as he visited troops over the holidays.